These women&apos;s gloves feature a leather palm and a breathable hyprene back, for a great comfortable fit. The neoprene cuff has a convenient velcro wrist closure, and the knuckles have additional fabric for extra protection. 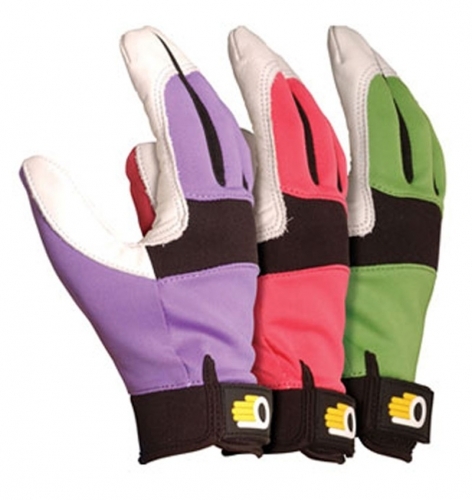 Strong, stylish and comfortable, these gloves are made for work and play.